All Printix communication inside and outside the network is secured with encryption and the use of HTTPS (SSL/TLS). Documents are stored encrypted until they expire and get deleted. Documents do not need to leave your network. Secure browser communication between the components and Identity Providers, such as Microsoft (Azure AD), Google (G Suite) and others. Forward print data to another computer running Printix Client. Encrypted. Secure communication to Printix Redirector on a Windows Server. Printix Discovery Protocol used to find computers running Printix Client. Not encrypted. If mobile print is enabled, and is to be used with iOS devices, then Printix Client will broadcast AirPrint printers via the Bonjour networking protocol (Multicast DNS). Authentication of users via secure LDAPS. Authentication of users via LDAP. Use of a web proxy and/or SSL inspection may for example prevent Sign in to Printix Client. You MUST add the printix.net domain and subdomains as exceptions so traffic is not blocked. How does Printix Client find the web proxy? The Printix Service (PrintixService.exe) which runs under the local system account, and handles the printing. 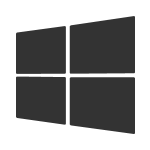 Printix Client use a Windows function WinHttpGetProxyForUrl (implements WPAD) to get the proxy settings from the PAC file. It also looks at the proxy settings configured for the user. If it finds a suitable set of proxy settings for the user, it remembers them in the registry under the LSA user (HKEY_USERS\S-1-5-18\Software\Microsoft\Windows\CurrentVersion\Internet Settings\Connections). Sign in with Microsoft, Google or email in Printix Client just returns to Sign in. RESOLUTION: You MUST add the required domains (see above) as exceptions so traffic is not blocked. See also: Sign in issues. Print drivers can not be downloaded from the Printix driver store. RESOLUTION: Check if the web proxy is part of the PAC file and if it should be updated/deleted. RESOLUTION: Follow the steps below to delete settings from Windows registry. Delete the two entries called DefaultConnectionSettings and SavedLegacySettings. Sign in to Printix Client again.